Avdiji, H., Elikan, D., Missonier, S., Pigneur, Y. (2018) Designing Tools for Collectively Solving Ill-Structured Problems. Proc. Hawaii International Conference on System Sciences (HICSS), IEEE Computer Society. Ondrus, J., Bui, T., Pigneur, Y. (2015) A Foresight Support System Using MCDM Methods. Group Decision and Negotiation Journal (GDN), 24(2), 333‑358. Fritscher, B., Pigneur, Y. (2015) Extending the Business Model Canvas: a Dynamic Perspective. Proc. International Symposium on Business Modeling and Software Design. ScitePress: 86-96. Bonazzi, R., Pigneur, Y. (2015) The Hitchhiker’s Guide to the Galaxy of Dynamic Ridesharing. Hawaii International Conference on System Sciences (HICSS), IEEE Computer Society. Fritscher, B., Pigneur, Y. (2014) Business model design: an evaluation of paper-based and computer-aided canvases. Proc. International Symposium on Business Modeling and Software Design. Springer Lecture Notes in Business Information Processing (LNBIP): 236-244. Fritscher, B., Pigneur, Y. (2014) Computer Aided Business Model Design: Analysis of Key Features Adopted by Users. Hawaii International Conference on System Sciences (HICSS), IEEE Computer Society: 3929-3938. Osterwalder, A., Pigneur, Y. (2013) Designing business models and similar strategic objects: the contribution of IS. Journal of AIS, 14(5), 237-244. Bonazzi R., Liu Z., Garnière S. & Pigneur Y. (2012). A Dynamic Privacy Manager for Compliance in Pervasive Computing. Chapter 12, in Yee, G. (ed) Privacy Protection Measures and Technologies in Business Organizations: Aspects and Standards. IGI Global, p. 285-307. Bonazzi, R., Fritscher, B., Liu, Z., Pigneur, Y. (2011) From ’Security for Privacy’ to ’Privacy for Security’, Proc. 15th International Conference on Intelligence in Next Generation Networks, IEEE, p. 319-324. Liu Z., Bonazzi R., Fritscher B. & Pigneur Y. (2011). Privacy-friendly Business Models for Location-Based Mobile Services. Journal of Theoretical and Applied Electronic Commerce Research, vol. 6, no. 2, p. 90-107. Osterwalder, A, Pigneur, Y. (2011) Aligning Profit and Purpose Through Business Model Innovation, in Palazzo, G., Wentland, M. (eds) Responsible Management Practices for the 21st Century, Pearson International, p. 61-76. Fritscher, B., Pigneur, Y. 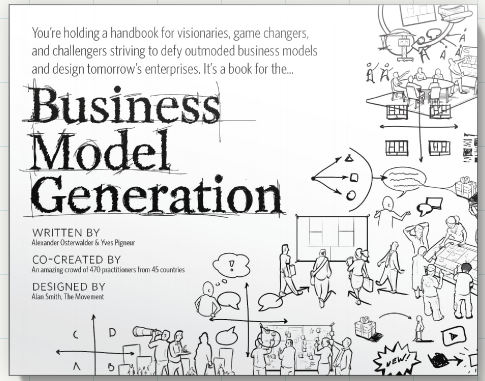 (2010) Supporting Business Model Modelling: A Compromise between Creativity and Constraints. in D. England et al. (Eds. ): Proc. 8th International workshop on TAsk MOdels and DIAgrams, Springer, LNCS 5963, p. 28-43. Bonazzi, R., Pigneur, Y. (2009) Respecting the deal: how to manage co-opetitive actors in open innovation. Proc. 6th Conference of the Italian Chapter of AIS. Bonazzi, R., Pigneur, Y. (2008) Compliance Management in Multi-actors Contexts. Proc. Intl Workshop on Governance, Risk and Compliance (GRCIS), An ancillary meeting of CAISE 2009. Ondrus, J., Pigneur, Y. (2009) C-K design theory for information systems research. Proc.4th International Conference on Design Science Research in Information Systems and Technology (DESRIST’09) Poster, ACM. Ondrus, J., Pigneur, Y. (2009) Near Field Communication: an assessment for future payment systems. Information Systems and E-Business Management (ISEB), Vol. 7, Issue 3, p. 347’361. Pigneur, Y., Werthner, H. (2009) Design and management of business models and processes in services science. Information Systems and E-Business Management (ISEB), Special issue on service science, Vol. 7, p. 119’121. Bonazzi, R., Hussami, L., Pigneur, Y. (2008) Compliance management is becoming a major issue in IS design. Proc. 5th Conference of the Italian Chapter of AIS, An ancillary meeting of ICIS 2008. Gaspoz, C., Ondrus, J., Pigneur, Y. (2008) Comparison of Multi-criteria and Prediction Market Approaches for Technology Foresight. Proc. Association Information & Management (AIM’2008), An ancillary meeting of ICIS 2008. Gaspoz, C., Pigneur, Y. (2008) A design science approach for developping prediction markets in a research and development community. Proc. 41th Annual Hawaii International Conference on System Sciences (HICSS), volume 41. IEEE Computer Society, January. Samuel Bendahan, Giovanni Camponovo, and Yves Pigneur. Multi-issue actor analysis : tools and models for assessing technology environments. Journal of Decision Systems, 13(2), October 2004. Samuel Bendahan, Giovanni Camponovo, Jean-S´ebastien Monzani, and Yves Pigneur. Negotiation in technology landscapes : An actor-issue analysis. Journal of Management Information Systems (JMIS), 21(4) :137’172, Spring 2005. Giovanni Camponovo and Yves Pigneur. Analyzing the m-business landscape. Annals of Telecommunications, 58(1-2), January-February 2003. Magaly Dubosson, Alexander Osterwalder, and Yves Pigneur. ebusiness model design, classi’cation and measurements. Thunderbird International Business Review, 44(1) :5’23, January 2002. Jan Ondrus and Yves Pigneur. Towards a holistic analysis of mobile payments : A multiple perspectives approach. Journal on Electronic Commerce Research and Applications, 5(3) :246’257, Automn 2006. Jan Ondrus and Yves Pigneur. Cross-industry preferences for mobile payments development in switzerland. Electronic Markets – The International Journal, 17(2): 142-152, May 2007. Alexander Osterwalder, Sarra Ben Lagha, and Yves Pigneur. Towards a virtual coaching service for smes in developing countries. ERCIM News, 48 :44’45, January 2002. Alexander Osterwalder, Yves Pigneur, and Christopher Tucci. Clarifying business models : Origins, present and future of the concept. Communications of AIS, 16(1) :751’775, July 2005. Jan Ondrus, Tung Bui, & Yves Pigneur. (2005). A Multi-Actor, Multi-Criteria Approach for Technology Selection When Designing Mobile Information Systems. In J. Krogstie, K. Kautz, & D. Allen (Eds. ), Mobile Information Systems II (Vol. 191, pp. 271-278). Springer Boston. Giovanni Camponovo, Alexander Osterwalder, and Yves Pigneur. Assessing a complex uncertain and disruptive technology environment for better it alignment. In Francois Bodart, editor, Utility, Usability and Complexity of Emergent IS. Presses Universitaires de Namur, 2003. Karl Cox, Eric Dubois, and Yves Pigneur, editors. Requirements engineering for business needs and information technology alignment. University of New South Wales Press, 2005. Dimitri Konstantas, Michel Leonard, Yves Pigneur and Shushma Patel, editors. Object-Oriented Information Systems. Lecture Notes in Computer Science, 2003. Alexander Osterwalder and Yves Pigneur. An ontology for e-business models. In Wendy Currie, editor, Value Creation from E-Business Models. Butterworth-Heinemann, 2004. Yves Pigneur. An ontology for m-business models. In Stefano Spaccapietra, editor, Conceptual Modeling (ER), volume 2503. Lecture Notes in Computer Science, October 2002. Yves Pigneur. A framework for de’ning e-business models. In J. Bruel, editor, Advances in Object-Oriented Information Systems (OOIS), volume 2426. Lecture Notes in Computer Science, September 2002. Wattiau, editors, Encyclop´edie de l’informatique et des syst`emes d’information, pages 1275’1281. Vuibert, 2006. Yves Pigneur and Carson Woo, editors. Proc. Workshop on Business/IT Alignment and Interoperability (Busital). CEUR, Luxembourg, June 2006. Giovanni Camponovo, Samuel Bendahan, and Yves Pigneur. Strategic analysis of the environment – a dss for assessing technology environments. In Proc. 6th International Conference on Enterprise Information Systems (ICEIS), Porto, April 2004. Giovanni Camponovo, Sandrine Debetaz, and Yves Pigneur. A comparative analysis of published scenarios for m-business. In Proc. Third International Conference on Mobile Business, New-York, July 2004. Giovanni Camponovo, Mark Heitmann, Katarina Stanoevska, and Yves Pigneur. Exploring the wisp industry – swiss case study. In Proc. 16th Bled Electronic Commerce Conference, Bled, June 2003. Giovanni Camponovo and Yves Pigneur. Analyzing the actor game in m-business. In Proc. 1st International Conference on Mobile Business, Athens, July 2002. Giovanni Camponovo and Yves Pigneur. Business model analysis applied to mobile business. In 5th International Conference on Enterprise Information Systems (ICEIS), Angers, April 2003. Giovanni Camponovo and Yves Pigneur. Extending technology roadmaps for environmental analysis. In Conférence sur la Veille Stratégique Scienti’que and Technologique (VSST), Toulouse, Octobre 2004. Giovanni Camponovo and Yves Pigneur. Information systems alignment in uncertain environments. In Proc. IFIP International Conference on Decision Support Systems (DSS), Prato, July 2004.
systems supporting the strategic analysis of technology environments. In Proc. Special Interest Group on Decision Support Systems Workshop (Pre-ICIS SIGDSS), Milwaukee, December 2006. Giovanni Camponovo and Yves Pigneur. From hype to reality : a case study on the evolution of the swiss wisp industry. In Proc. 5th International Conference on Mobile Business (ICMB’06), Copenhagen, June 2006. IEEE Computer Society. Giovanni Camponovo, Yves Pigneur, Andrea Rangone, and Filippo Renga. Mobile customer relationship management : An explorative investigation of the italian consumer market. In Proc. Fourth International Conference on Mobile Business (ICMB), Sydney, July 2005. Magali Dubosson, Yves Pigneur, and Jean-Claude Usunier. Business models for music distribution after the p2p revolution. In Proc. 4th International Conference On Web Delivering Of Music (Wedelmusic), Barcelona, September 2004. Gang Fang, and Yves Pigneur. The Integrative Model of International Innovation Network and Performance. In Proc.Third International Symposium on Global Manufacturing and China, Hangzhou, September 2003. Cédric Gaspoz, Jan Ondrus, and Yves Pigneur. Technology foresight for it investment : Multi-criteria decision-making versus prediction market. In Proc. Association Information Management (AIM) Workshop at International Conference on Information Systems (ICIS), Montreal, December 2007. Cédric Gaspoz and Yves Pigneur. A design science approach for developping prediction markets in a research and development community. In Proc. 41th Annual Hawaii International Conference on System Sciences (HICSS), volume 41. IEEE Computer Society, January 2008. Jaap Gordijn, Alexander Osterwalder, and Yves Pigneur. Comparing two business model ontologies for designing ebusiness models and value constellations. In Proc. 18th Bled Electronic Commerce Conference, Bled, June 2005. Philippe Keller, Paul Mang, Daniel Oyon, and Yves Pigneur. M-commerce and strategic innovation. In 20th Conference of Strategic Management Society (SMS), Vancouver, October 2000. Mark Laperrouza and Yves Pigneur. China’s broadband wireless industry – a prospective approach. In Proc. 8th Paci’c Asia Conference On Information Systems (PACIS), Shanghai, July 2004. Jean-Sébastien Monzani, Samuel Bendahan, and Yves Pigneur. Strategic analysis of the environment – a dss for assessing technology environments. In Proc. 37th Annual Hawaii International Conference on System Sciences (HICSS), Best paper award, January 2004. Jan Ondrus, Giovanni Camponovo, and Yves Pigneur. Environmental context signi’cance in strategic decision support systems. In Proc. International Workshop on Context Modeling and Decision Support, Paris, July 2005. Jan Ondrus, Giovanni Camponovo, and Yves Pigneur. A proposal for a multi-perspective analysis of the mobile payment environment. In Proc. Fourth International Conference on Mobile Business (ICMB), Sydney, July 2005. Jan Ondrus, Jean-Sebastien Monzani, and Yves Pigneur. A gdss for visualizing and asses- sing a technology environment. In Proc. 12th Americas Conference on Information Systems (AMCIS’06), Acapulco, August 2006. Association of Information Systems. Jan Ondrus and Yves Pigneur. A disruption analysis in the mobile payment market. In Proc. 38th Annual Hawaii International Conference on System Sciences (HICSS), January 2005. Jan Ondrus and Yves Pigneur. A multi-actor, multi-criteria approach for technology selection when designing mobile information systems. In Proc. IFIP TC8 Working Conference on Mobile Information Systems (MOBIS), Leeds, December 2005. Jan Ondrus and Yves Pigneur. A multi-stakeholder multi-criteria assessment framework of mobile payments : An illustration with the swiss public transportation industry. In Proc. 39th Annual Hawaii International Conference on System Sciences (HICSS), Hawaii, January 2006. IEEE Computer Society. Jan Ondrus and Yves Pigneur. A systematic approach to explain the delayed deployment of mobile payments in switzerland. In Proc. 5th International Conference on Mobile Business (ICMB’06), Copenhagen, June 2006. IEEE Computer Society. Proc. Sixth International Conference on Mobile Business (ICMB 2007), Toronto, July 2007. Alexander Osterwalder, Sarra Ben Lagha, and Yves Pigneur. Modelling e-business with ebml. In Proc. Conférence internationale des réseaux d’entreprises (CIMRE), Mahdia, October 2001. Alexander Osterwalder, Sarra Ben Lagha, and Yves Pigneur. An ontology for developing e-business models. In Proc. IFIP Decision Systems and Internet (DsiAge), Cork, July 2002. Alexander Osterwalder, Sarra Ben Lagha, and Yves Pigneur. Une ontologie de business model pour la formalisation des stratégies e-business. In Proc. Conférence international de l’AIM, Hammamet, Juin 2002. Alexander Osterwalder, Christine Parent, and Yves Pigneur. Setting up an ontology of business model. In Proc. EMOI workshop at Conference on Advanced Information Systems Engineering (CAISE), Riga, June 2004. Alexander Osterwalder and Yves Pigneur. An e-business model ontology for modeling e-business. In Bled 2002 Proceedings, Association for Information Systems AIS Electronic Library, June 2002, 75-91. Alexander Osterwalder and Yves Pigneur. 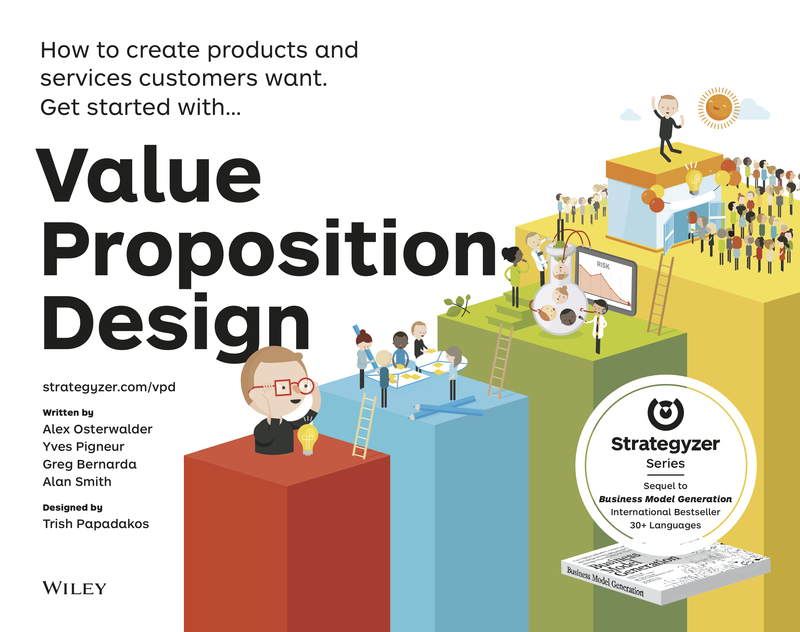 Modeling value propositions in e-business. In Proc. 5th International Conference On Electronic Commerce (ICEC), Pittsburgh, October 2003. Alexander Osterwalder and Yves Pigneur. Modelling customer relationship – illustration to mobile industry. In Proc. 16th Bled Electronic Commerce Conference, Bled, June 2003. Alexander Osterwalder and Yves Pigneur. Towards strategy and information systems alignment through a business model ontology. In 23d Conference of Strategic Management Society (SMS), Baltimore, November 2003. Alexander Osterwalder and Yves Pigneur. Investigating the use of the business model concept through interviews. In The Fourth International Conference on Electronic Business (ICEB), Beijing, December 2004.